Sabarmati is one of the most desired residential areas in Ahmadabad, in Gujarat. Over the last few decades, the real-estate industry in the area has witnessed a revolutionary change. With the development of several residential estates in the region, investors and homebuyers are keen to acquire property in Sabarmati. Optimal location, ease of transportation and the availability of all the desired amenities in the area have contributed to the popularity of Sabarmati as a residential hub. Leading investors have come up with a number of projects in the recent years. 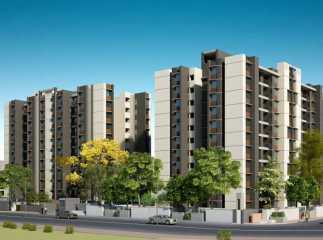 You may choose 2, 3 and 4 BHK apartments in Sabarmati, according to your needs and budget. These apartments are customised for high-end buyers as well as middle-income groups. One of the most important reasons to buy property in the region is the easy access to the commercial areas and places of entertainment. The projects in Sabarmati offer luxurious living facilities. The interiors are sophisticated, with spacious rooms, kitchens and balconies. 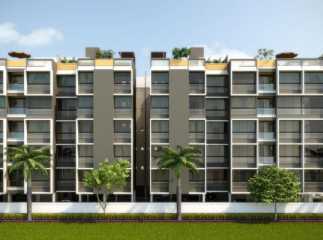 Elegant finish ensures a chic lifestyle in these apartments. The enriched social infrastructure is another reason to get an apartment in Sabarmati. Residents moving to these estates enjoy fast connection to all the desired destinations around, from shopping malls and multiplexes to places of entertainment. The plots in Sabarmati are also close to a number of schools and hospitals. Sabarmati is also developing as an important commercial centre. It is likely to produce hundreds of job opportunities in the coming years. Important schools in the region are Army Public School, Ahmadabad Municipal Corporation School, D.P. High School, Shree Vidyanagar School, Rachana School, HB Kapadia New High School, and K.R.Raval School. The Ahmadabad University is a reputable centre of higher education. Besides, you can enjoy an easy access to important healthcare centres when you buy flats in Sabarmati. The hospitals located close to the residential complexes in Sabarmati are Government Dental College and Hospital, Devasya Super Speciality Kidney Institute and Research Centre, Shalby Hospital, Shriji Hospital, Yogiji Maharaj Hospital, Civil Hospital Campus, and Saviour Hospital. Well, the properties in Sabarmati provide an ideal opportunity to investors to make the best use of their money. The prices of property in the area are rising. You can buy an apartment for commercial or personal use now. When you buy one of the villas in Sabarmati, you will enjoy the amenities that have been developed within the complexes. First of all, security facilities are optimum in these estates. The residents enjoy uninterrupted power and water supply. Enough fitness and health facilities have been developed here, along with jogging tracks, gyms, cycling tracks and swimming pools. People can engage themselves during their leisure hours, playing indoor or outdoor games, or socializing with others in the clubhouse. Investors and homebuyers willing to invest in the property in Sabarmati Ahmadabad should make their move now. Hundreds of families are booking apartments for themselves. You can get a taste of classy living facilities and approach to the commercial areas when you move to one of the residential estates in Sabarmati.